Fauxcahontas Slanders Sessions in the Senate… and Gets SHUT DOWN! Leftist slanders should be prosecuted just as rioters should who shut down free speech, but Democrats endorse the lies and violence of their fellows. Sen. Elizabeth Warren (D-MA) thought she could get away with slandering Sen. Jeff Sessions from the podium of the United States Senate by using the words of a third party. She thought she could use the same technique used by leftwing propagandists who claim to be “journalists” by repeating the words of another person written in a letter without herself being held accountable for defamation. So long as they can quote someone else saying it, radical extremist leftwing media believe they can report a story using their own opinions spoken by another and say they are reporting the truth of someone speaking truly. Just because someone says it doesn’t make it true or right. Leftists who lack a moral compass can no more make the distinction between propaganda and truth than they can tell the difference between right and wrong. Warren found herself slapped down by the Senate for violating another Senator’s dignity. Former Democrat Majority Leader Reid used the same technique to slander Gov. Romney in 2012, but Romney was not a fellow member of the Senate. Despite Democrats giving themselves permission to slander others from the floor of the Senate, the Senate itself has laws against doing so to other senators. 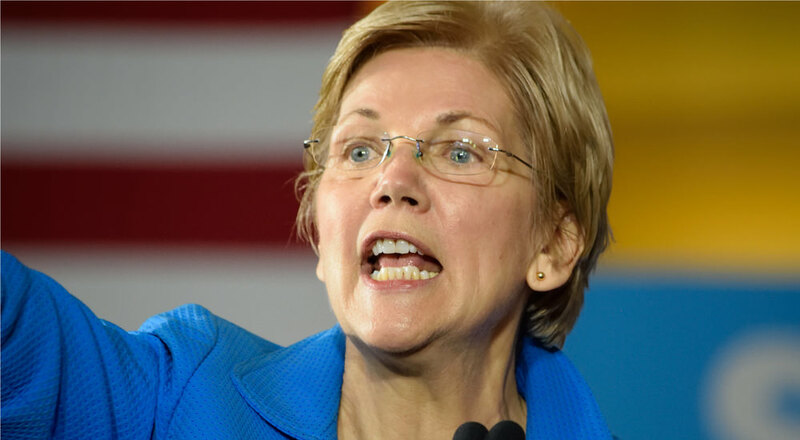 In attempting to claim no liability because she was reading someone else’s words, Warren discovered that does not exonerate her from being held liable for speaking them. She then challenges the ruling saying it is racist to not hear the words written by a black racist against Sen. Sessions. This is the kind of stupidity, pettiness, and lowly, mean-spirited nastiness that leftists believe they have a right to perpetrate with impunity. She is no different than any of Obama’s Black Flag Army of violent protesters and deserved to be excoriated and removed!